Women only represent 20% of the team when it comes to the field of information technology. However, this field offers many career opportunities that go beyond developer positions. 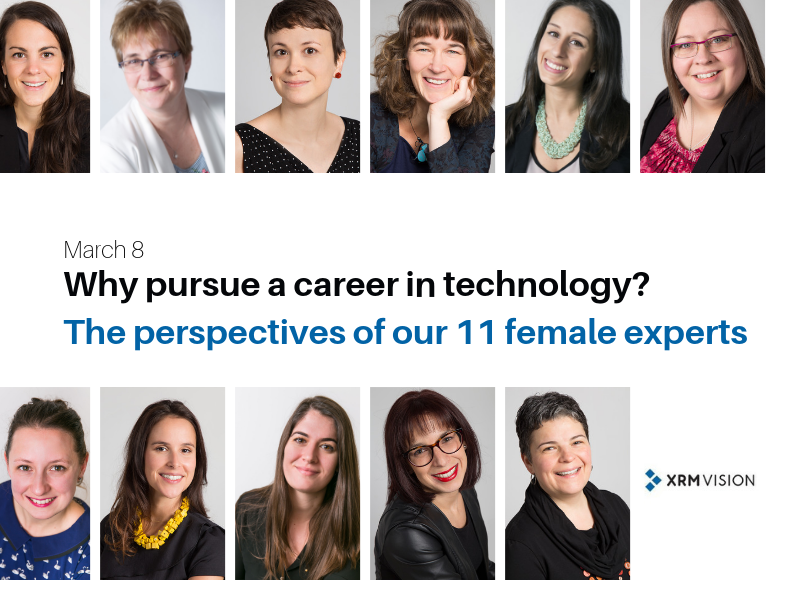 To highlight International Women’s Rights Day, we have asked 11 of our women experts each with their own unique background, to explain to us what it is that drives them every day to succeed in the information technology sector. “Although I studied in IT, I did not necessarily see myself working with CRM. I had the opportunity to start my career in CRM by working with the best in Montreal. I also fell in love with Microsoft CRM and especially the people I met; they were fantastic. These people who are still in my life today, have over the years been mentors to me. I wake up each day with the feeling that I am helping others. My work entails listening to the needs of other people. As a team, we use all of the resources we have to find the best solution that will allow us to improve their daily lives. It is very motivating to see that we are making concrete improvements in the lives of people. Anne-Claire Oger, Kim Mac Dermott, Mélanie Borde, Dominique Roger, Gacia Demirdjian, Nathalie Lanthier, Valérie Durand, Maude Gautier, Marie-Claude Roy, Patricia Rivas and Charlotte M. Debunne hold various positions at XRM Vision. Each of their paths is unique.